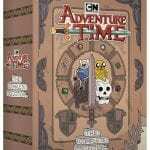 ‘Adventure Time’ the Complete Series is Coming to DVD! Adventure Time may be over on Cartoon Network, but soon you’ll be able to revisit them any time, with a complete box set! And that’s not all! 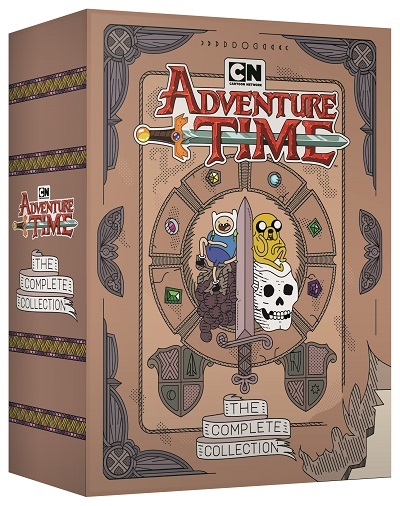 In addition to the DVD set, Cartoon Network is releasing a boxed soundtrack set as well! To celebrate this announcement, Cartoon Network released a music video featuring the show’s extended closing theme music, along with fan generated artwork from The Art of Elysium, a non-profit artist organization. The press release for the sets had these details about the DVD set. Sonic Sounds from Ooo – A 13-minute featurette about the composers and iconic music from the series. Farewell Tour – A comprehensive retrospective with those who created some of the most unforgettable moments of the series including executive producer and showrunner Adam Muto; voice of Finn, Jeremy Shada; voice of Marceline the Vampire, Olivia Olson; Summer Camp Island creator, Julia Pott; Over the Garden Wall creator, Patrick McHale; The New York Times bestselling author and Steven Universe creator, Rebecca Sugar; OK K.O.! Let’s Be Heroes creator, Ian Jones-Quartey and more. Are you excited for these new releases? Will you be picking up the DVD or soundtrack?